A food blogger's dream just went up a level with the amazingly attractive Brunch Pro theme which leaves all other food related themes in the dust. Quick loading, fantastic flexible design, clean and creative layout, great functionality, super responsive, clean coding, full support and security, easy updates, and fully customizable. When you are cooking or showing great food or tasty food recipes, people expect class, elegance and style. Brunch Pro is sleek and classy with lovely typography and terrific imagery. There's really not much more to say than that. If perfection and elegance were expected of a new theme, you would get Brunch Pro. It simply works and hits all the marks in how a great theme should look. Hit the download button and see for yourself. 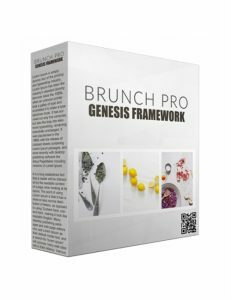 If you're in the food niche, have your own food related blog, or are looking to make your presence online, Brunch Pro is what you want. Whether you're going from scratch or want to upgrade your current site, this is the theme for you. Grab Brunch Pro today. 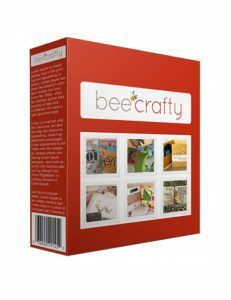 Bee Crafty is a heck of a cute theme from the creative minds at Genesis Framework. Remember back in the days when you were growing up? You had your toy box, children's books, cartoons, pin ups on the wall of various cartoon characters, etc? Or even your bed sheets, curtains, and desk lamp which had funny cartoon characters on them? This theme encompasses all those childhood elements with a fun layout and design. The visual when you land on the Bee Crafty page is so happy, comfortable and fun that you won't want to leave. You can use this lovely theme as a blog or a diary where you show the world your fun filled childhood or your toy collections or cool arts and crafts or any number of things that made you happy. Bee Crafty just like all Genesis themes comes with a variety of layout options and widgets along with various images and options to make this theme exclusively yours. When you think of fun colourful art projects and happy times, Bee Crafty is exactly what you're looking for. Make it yours. Hit the download button now. If you want beauty at its finest, then you want this theme. A great use of white space and quality imagery where users feel good and comfortable on a site that has a welcoming vibe to it. What do you think of when you think of beauty? Nice blue sky, fields, flowers, butterflies? This theme combines it all to make it a really pleasant experience and the content flows nicely with nothing to distract the eye. 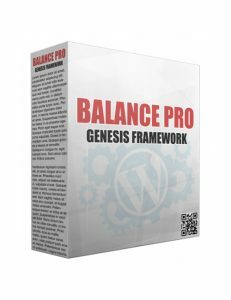 On top, just like all Genesis Framework themes, the site is optimized, the code is clean, updates are easy and instant, and it's all easily customizable the way you want. You can add a blog, landing pages, adjust any aspect of the site with a number of widgets, etc. You want a lovely site and this is the one for you. Hit the download button, install, and make yourself an amazing site whether it's for business, a blog, or any number of uses. 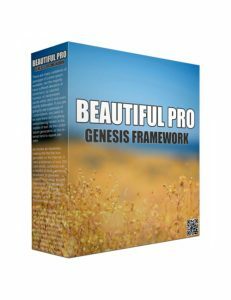 That's the power of Genesis and this is the way to go for modern websites where you have the full power to build something amazing which is fully search engine friendly. Grab it now. When we're talking about class combined with simplicity, sophistication and functionality, then we're talking about "Balance" which is one of the best creations from the amazing designers of Genesis Framework. Back when everyone was reading the newspaper to get their daily dose of the news, publishers kept the layouts and designs sleek and easy to read. You get exactly that with this theme. And on top, Balance is designed to display in any medium, be it tablet, mobile or desktop/laptop. Actually now that the stats tell us that more than 50% of people are using mobile to access the internet, that makes Balance an absolute must because of it's easy and flowing style. There's nothing busy that distracts the user from anything outside of what's directly in front of them. Your content is the primary focus while the minimum use of bright colours keeps the reader's full attention including those readers who are more light sensitive. If you want class, simplicity and quality, along with great SEO, easy updates, a super helpful community, and no technical troubles or hassles at all to deal with, then this is the theme you want. An absolute must grab. Get it now. Backcountry is an incredibly impressive Wordpress theme designed for you if you want to display your life or showcase your business with some real flair. Visual imagery is appealing to everyone and when you bring that appeal to a website, more people tend to stay longer and take an action. As much as great content keeps people engaged, so does a great user experience. You need to have nothing less than awesome when it comes to your audience and present them with the very best experience when they're on your site. 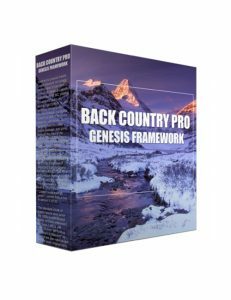 Backcountry is one of the top themes from Genesis Framework for obvious reasons. Functionality, security, SEO, drag and drop widgets, easy layout customization and so much more. 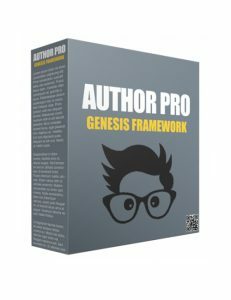 The most amazing thing about Genesis Framework is that all the code is expertly done and the site is optimized to help you achieve the best rankings for your keyword search phrases. Don't stall. Grab this fantastic theme now. Your empire starts here so get to building. 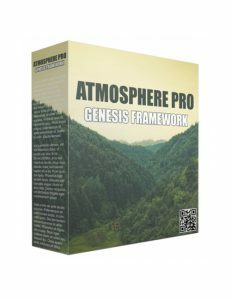 Atmosphere Pro is an incredible theme that is as much of a visual experience as it is a business and we both know that your business is something special. This is a theme that captures the beauty of the world as if you were looking up at the mountains through a telescope or with your naked eye, seeing all the heavenly glory in front of you. For users, it's like going through a hike in nature and that's how the experience can be described when people land on Atmosphere Pro. Smart and simple but visually stunning layouts and lovely imagery keeps users on the site, making them want to look around and enjoy the full experience. On top, this theme is fully responsive and is an experience no matter which medium it's viewed on. Nice clean code, quick loading, easy updates, and top notch security make this theme a must-download if you want the best of the best when it comes to your business. You deserve nothing else than the best and this is the theme for you. Download it now. If you're an author wanting to bring attention to your published work, then Author Pro is the theme for you. Its intuitive layout and amazing functionality will ensure that your audience will enjoy seeing your large collection of books. The features of this theme are easy and straightforward for any non-techie to use. If you're in the habit of displaying your long line of amazing work then you need an amazing theme to give it some oomph. Not just any great theme will do. Sometimes you have to be a little more creative so that your content or products are displayed in a way which will keep the audience hooked. You won't find another theme as suited for authors as Author Pro. And if it's on the Genesis Framework, that means it's already fully ready and optimized for you to plug and play. Grab this theme now and get your work posted. Your audience will love it. When you're running a real physical business, you want your web presence to shine. If you're running an online business, the same thing applies. Your website is the first interaction between the customer and your business which means you need to impress them with a quality and quick loading site followed by solid content and products or whatever it is you're selling. Simply, anything less than a sleek professional design won't do in today's world and with Associate child theme, you get an amazingly customizable theme with a ton of features. 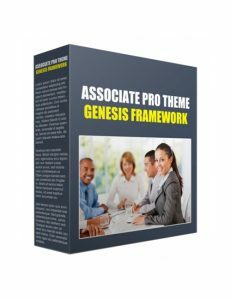 Professionalism counts for everything when you're a business and with this theme, nobody will deny the quality of your site when you grab one of the best themes for Genesis Framework. You don't need to worry about the technical stuff because it's all done for you. That's why these themes are so popular and so powerful. Google loves well created, properly coded, and well optimized themes/templates so you can focus only on creating your content and building up your business. Once you're ready, hit the button.